The Seven Wonders of the World have long been debated with new ones being added all the time and various lists being compiled from antiquity to the present day. Regardless of which list you choose to follow, all of these sites are stunning and worthy of a trip. And for adventurous travelers who want to take in some of the world’s most spectacular natural phenomena and man-made structures, these are some of the places to stay to help you fully experience these wonders. The feeling you get when climbing to this 15th-century Inca site located 7,970 feet above sea level can only be described as magical. Many flock here to catch the sunrise over the ancient structures and terraces, but there is only one hotel located adjacent to the Lost City. The Belmond Sanctuary Lodge Machu Picchu is actually situated within the sanctuary of Machu Picchu and onsite guides will plan the perfect trek for you whether you want a serene walk or challenging hike. Even the kids can get in on the action by participating in a local treasure hunt. As the second most visited archeological site of Mexico, visiting these Mayan ruins can be overwhelming. The Lodge at Chichen Itza provides the perfect escape and is located within the archaeological park. The property offers traditional Mayan-style bungalows to stay in and exclusive private entrance to the ruins. The Colosseum can get pretty hectic during the high season. So the Colosseum Hotel has panoramic rooms for you to enjoy the view of the ancient ruins without the hassle of the crowds. Of course, you’ll want to step inside the incredible structure at some point, which is why being located just steps from it makes this property ideal. While it’s unlikely that you’ll cover all 5,500 miles of Great Wall of China while on vacation the Brickyard Retreat at Mutianyu Great Wall helps you take advantage of the incredible site by providing walking tour guides. Wanting you to embrace the natural beauty of the area, the hotel does not have televisions or phones in the guest rooms to keep the surroundings peaceful and reminiscent of the great era. Incredible rock-cut architecture and stunning landscapes make this ancient city a must see for any archaeological enthusiast. Experts are still uncovering unique details about this southern Jordanian city, which draws in visitors from all over the world. To get the full experience of this historic place the Petra Guest House Hotel lets you spend the night like the ancient Jordanians in guestrooms and chalets built within the landscape’s stone walls. Not to mention, you’re located at the entrance to the ruins just steps away from the major sites. Commissioned in 1632 by the Mughal emperor Shah Jahan to house the tomb of his third wife, Mumtaz Mahal, the Taj Mahal is known for it’s captivating beauty and size. And you’ll feel like royalty too at The Oberoi Amarvilas Agra where each room features stunning views of the iconic mausoleum. Up the ante on your regal adventure and have a private, romantic dinner with butler service on your balcony overlooking the resort’s lush gardens of the ancient wonder. This larger-than-life statue can be seen from miles away, but why not see it up close? Located in the middle of Rio de Janeiro’s Tijuca Rainforest, where the Art Deco statue of Jesus Christ is perched, is the Baobá B&B. 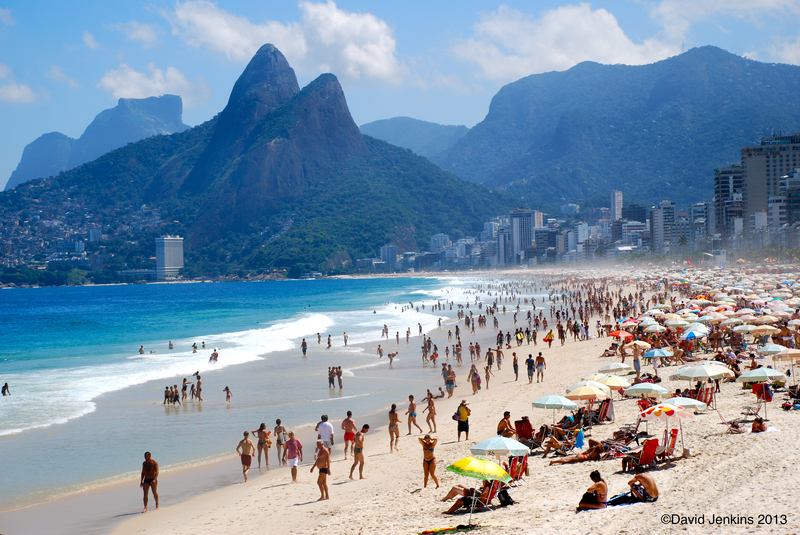 You get to experience the incredible escape of being in the jungle and incredible views of the monument, but are just a short drive from Ipanema Beach and the historical Maracanã Stadium.